I’m a sucker for anything vintage. So if I wasn’t so incredibly unco, I’d be turning cartwheels right about now. 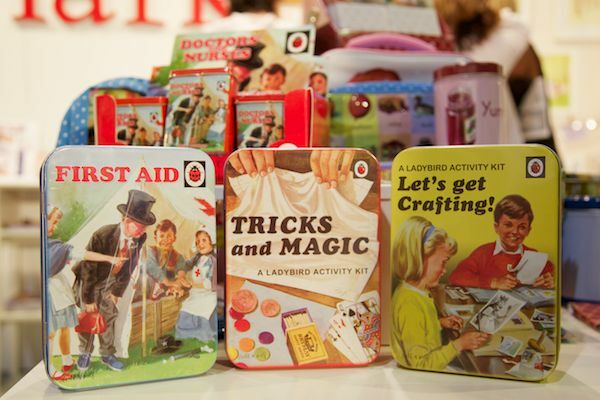 And it’s all because of these fabulous new Vintage Ladybird kits from those doyens of retro style, Lark. A Generation X mum, my thirty-something status means I’m old enough (eeek!) to remember learning how to read from the original Ladybird Books. Now Lark has brought all those wonderful childhood memories rushing back with the release of these new Vintage Ladybird activity kits for my own kids to enjoy. Of course, hipster mums in their 20s who never experienced the charm of a Ladybird reader will just like them for their cool retro styling! 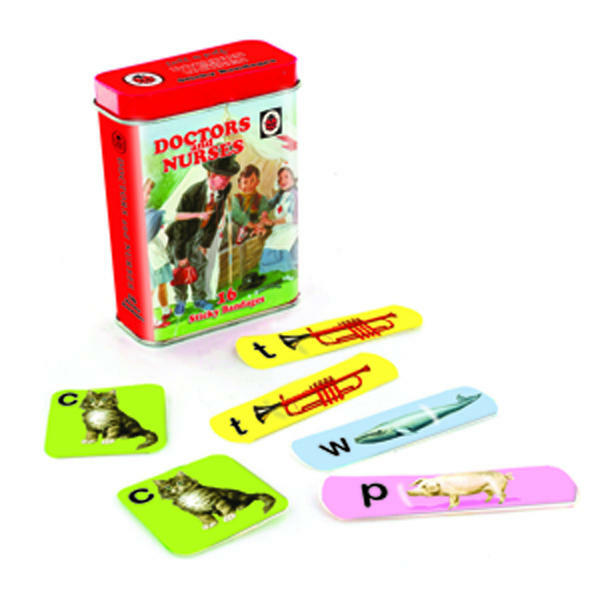 There’s four nostalgic tins to chose from – a craft kit, magic kit, first aid kit and an incredibly cute Doctors and Nurses set of alphabet sticking plasters for covering little cuts and scrapes. When the bits and pieces that come with each kit run out, simply reuse the tins to store whatever you like. Hint: the Doctors and Nurses tin is the perfect size for stashing in your nappy bag for first aid on the go. We gave you a sneak peek of this new line when we covered the Kids Instyle trade show back in February but you can now snaffle them for yourself. The activity kits are $29.95 each, the first aid kit is $24.95 and the tin of sticking plasters $9.95 from Lark. Liking the Ladybird? Lark have plenty more items featuring images from these lovely little British children’s books or check our previous post on Ladybird prints for the nursery.